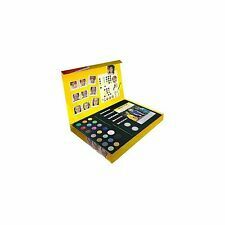 CHILDREN/KIDS FACE PAINT PARTY PACK PAINTING SET MAKE-UP KIT...New..Free(P+P). 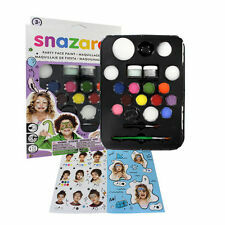 Snazaroo Face Paint Ultimate Party Pack BNIB - Free delivery! They are all water-based, making them even easier and quicker to remove, simply wash off with warm soapy water or use gentle face wipes. Safety Warning Use under Adult Supervision. For External use only. 5 out of 5 stars - Snazaroo Face Paint Ultimate Party Pack BNIB - Free delivery! 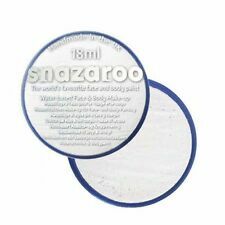 3 product ratings3 product ratings - Snazaroo Face Paint Ultimate Party Pack BNIB - Free delivery! Apply to clean skin (make sure nothing is already applied to your skin, this will cause the wax to not stick). When applying press down and mould into the desired shape you want. You can use a blunt knife to create shape and definition. Makeup Revolution Pro SFX Face Paint Palette. Water-based, they’re easy to apply and give a smooth result on either your face or body. Put them under a UV light and they’ll erupt into a blaze of glowing gloriousness! 6 Glorious neon colours. Perfect for parties and club-nights, the makeup can be applied with your fingers, a brush or a sponge and you’re ready to glow the night away! Glitter Fix Gel by Moon Glow - Face Body Fixing Adhesive Primer for all glitter. 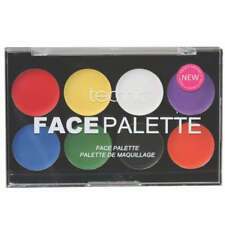 Technic Halloween Face & Body Cream Paint Palette. Face & body paint cream palette contains the following colours These special effects paints can be used on either the face or body creating the perfect Halloween make up. Classic - Sparkle - Metallic Colours Same Day Dispatch! 'CYBORG' TATTOO. Temporary Face Tattoos. PERFECT FOR HALLOWEEN FANCY DRESS. OR FOR ANY OTHER FANCY DRESS OCCASION. EASY TO APPLY AND LONG LASTING! It's impossible! Each crayon length is approx 2.25" long (6cm). Neon Face paint grease sticks make up set. Includes 6 Neon crayons in yellow, orange, pink, violet, green and blue. (they don't glow in the dark). Vaseline, Glycerol, Calcium Carbonate & Paraffin. Glows under UV blacklight. 1 x transparent case. 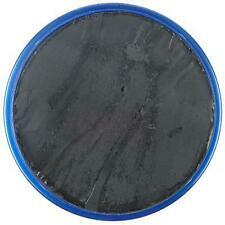 These special effects paints can be used on either the face or body creating the perfect Halloween make up. Unicorn Glitter Sticks. Perfect for party princesses of all ages! Made for use on your skin, none of these products are tested on animals – so you can be sure that the herds of unicorns are still running free! Rainbow Fan Brush For Gay Pride Face & Body Make up Dance Party Shows. Perfect for gay pride fancy dress party. Size: Small, Pocket size. 5 x GLOW IN THE DARK Neon Face & Body Paint 10ml SET Of 5 Fluorescent WAX BASED. Glow in the dark body paints are a 3-in 1 product that are not only vibrant neon colours. Glow in the dark body paints. Just swipe it on and it creates a rainbow! Celebrate Pride with this glitter rainbow body sticker. Easy to wear its suitable for your face and body and easy to apply with a self adhesive sticky back. Looks great at any parade, festival or carnival. 1 x Rainbow Face Paint Fanbrush Rainbow Pride Flag Festival Carnival Unicorn Rainbow. FANBRUSH RAINBOW FACE PAINT. Fanbrush is a unique face painting tool which allows you to quickly wear your colours. Face & Body Paint Set of 12 by Moon Creations - 12ml.